If you have yet to discover the health benefits of turmeric, you may be surprised to learn just how many medicinal properties this versatile herb contains. Highly valued in India for thousands of years as both a culinary spice and a medicinal herb, turmeric gets its powerful healing properties from compounds known as curcuminoids. Curcumin, the main active component of turmeric, has long been revered in Traditional Chinese and Indian Ayurvedic medicine, where it is used as an antiseptic, and for the treatment of liver disease, respiratory and gastrointestinal issues, joint pain, and muscle injuries. As modern science continues to study, discover and document the numerous health benefits of turmeric, newly published data promotes the vast health potential of curcumin’s therapeutic activities. According to the National Center for Biotechnology Information (NCBI), curcumin has been “shown to exhibit antioxidant, anti-inflammatory, anti-mutagenic, antiviral, antibacterial, antifungal and anticancer activities, and thus has a potential against various malignant diseases, diabetes, allergies, arthritis, Alzheimer’s, and other chronic illnesses.” Rightly named an ideal “Spice for Life,” curcumin exhibits activities comparable to, perhaps outperforming, certain pharmaceutical medicines with virtually no adverse side effects or toxicity. Turmeric has been shown to have hundreds of molecular constituents, each with a variety of biological activities. A breakdown of these activities shows there may be at least 20 antibiotic molecules, 14 cancer preventatives, 12 anti-tumor properties, 24 anti-inflammatory agents and at least 10 different antioxidants. 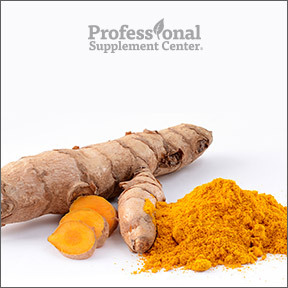 Inflammation – One of the most powerful aspects of curcumin is the ability to control inflammation. Chronic low level inflammation is behind the majority of chronic disease processes, including heart disease, cancer, metabolic syndrome, and Alzheimer’s, as well as degenerative and autoimmune diseases. Curcumin targets multiple steps in the inflammatory pathways and actively takes on inflammation at the molecular level. Pain management – Along with its ability to reduce inflammation, curcumin has been shown to relieve pain and increase mobility in those with mild to moderate osteoarthritis (OA). There is currently no known cure for this disabling disease. According to NCBI, the safety profile and potential efficacy of nutraceuticals make them good candidates for therapeutic strategies and the medical management of OA. An excellent safety profile and strong molecular evidence support curcumin’s strong potential for the prevention and management of OA and other inflammatory diseases. Aging brains – According to the NCBI, current treatments for neurodegenerative diseases are less than adequate, and the best hope is prevention of the devastating loss of functional brain neurons and synapses. Studies have shown that curcumin may significantly modify many of the underlying processes involved in the development of Alzheimer’s. Many neurodegenerative diseases of aging involve inflammation, oxidative damage and the accumulation of protein aggregates. Curcumin has multiple desirable neuroprotective characteristics, which include anti-inflammatory, antioxidant, and anti-protein-aggregate activities. Ongoing pilot clinical trials show promising results for dietary curcumin as a strong candidate for use in the prevention or treatment of major disabling age-related neurodegenerative diseases, including Alzheimer’s, Parkinson’s and stroke. Cancer – Cancer and neurodegeneration have multiple mechanisms in common, including dysfunctional cell signaling, abnormal gene regulation and a vulnerability to inflammation and chemical stresses. Chemical stresses and disrupted biological signaling pathways are common to most symptoms of aging, especially in the development of age-related brain degeneration, stroke and cancer. Curcumin may have tremendous potential in the area of prevention, as it acts to oppose at least seven basic pathways to cancer development. Laboratory studies show curcumin’s potential to prevent or treat cancer through its ability to avert DNA damage from environmental factors, and inhibit new blood vessel growth that would otherwise support cancer cells. These studies also show that curcumin may enhance conventional treatment by making tumors more vulnerable to chemotherapy and reducing cancer stem cell survival after treatment. As the curcumin content in turmeric is low, around 3% by weight, you may want to take curcumin in supplemental form to experience the full effects. Curcumin is not easily absorbable, but piperine, a natural substance found in black pepper, greatly enhances the bioavailability of curcumin. You can swallow a few whole peppercorns with your supplement or you can take a formula that contains piperine along with curcumin. Please note that large doses of turmeric may interfere with blood thinning or diabetes medications. If you are taking any medications, please consult your healthcare provider before taking any supplements. Curcumin 500 with Bioperine® by Pure Encapsulations – Each capsule contains 500 mg of turmeric, standardized to contain 95% curcuminoids. To promote absorption and enhance bioavailability of curcumin, Bioperine®, a black pepper extract, is included in the formula. Gluten and soy free, Non-GMO vegetarian formulation. Theracumin™ 600 mg by Integrative Therapeutics – This formula utilizes a patented, natural colloidal dispersion technology to enhance bioavailability and improve the overall absorption of curcumin. Gluten, soy and dairy free vegetarian formulation. C3 Curcumin Complex by Designs for Health – This patented unique formula provides three synergistic and bioactive curcuminoids that contain protective antioxidant and anti-inflammatory properties. Gluten and dairy free, Non-GMO vegetarian formulation. Curcumin Extract 750 mg by Vital Nutrients – This combination formula provides curcuminoid extract along with Bioperine® black pepper extract for enhanced bioavailability. Gluten, dairy and soy free formulation. This entry was posted in Home and tagged Spice Up Your Health with Turmeric. Bookmark the permalink.